Dip tops of cupcakes in green sprinkles to coat, pressing to flatten slightly. For the footballs, pipe laces on the almonds with the white icing. Cut 4 (4”/10 cm) pieces of fruit roll. Wrap around top of lollipop stick and trim end to resemble a flag. 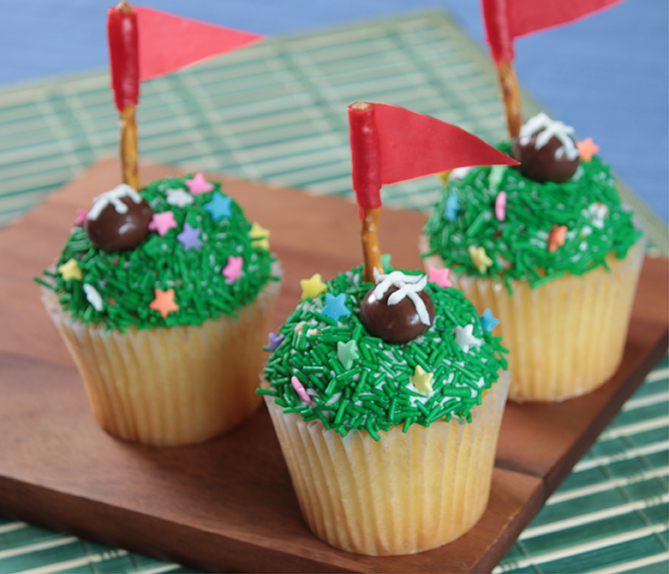 Decorate top of cupcakes with a football, a flag and some candy stars. Replace sprinkles with green sugar or toasted coconut.